Much ado has been made about Joel and Ethan Coen’s legendary Twin Cities roots. From the cheesy Minnesota colloquialism in William H. Macy’s accent in Fargo to their magnum Minneapolis opus, the St. Louis Park epic A Serious Man, these two natives have never left their home far behind. But now, springing up in the twin cities, is a book about one of their least Minnesotan films, the quintessentially Los Angelic The Big Lebowski, The Big Lebowski: An Annotated History of the Greatest Cult Film of all Time. Jenny Jones, author of The Annotated Godfather and formerly of the Oak St. Cinema and the Walker Art Center, traces her connection to the Coens back to before their first film hit the screens; Jones and Ethan both served a stint working at St. Paul’s legendary Embers Restaurant, but her own explorations into Lebowski are only the beginning. Through two hundred plus pages, Jones’ book delves into the personal stories behind the film, from interviews with actors and crew members to the links between Lebowski and films as disparate as The Good the Bad and the Ugly and The Wizard of Oz. 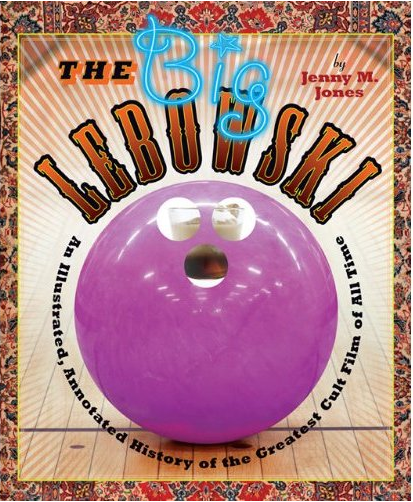 The cover of Jones’ book even features a spinning bowling ball which reveals various Lebowski-esque objects when spun. As a brief introduction to the intellectual project of the book, Jones agreed to talk a little about The Big Lebowski’s Minnesota roots and its connection to the Coens’ larger project. Jones began this point by talking about the film’s production and release, particularly its connection to Fargo. The script for Lebowski was finished before Fargo’s, yet the peculiarities of shooting schedules meant that Fargo was shot earlier and released a full two years before Lebowski. Their link however is undeniable, built not only on their temporal overlap, but also on the ways the films mirror each other. Meanwhile The Big Lebowski, one of the most stylized, and least realist films in the Coen’s filmography, is actually based on real events that took place in Hollywood. While there was no money buried in northern Minnesota (though according to legend many would-be treasure hunters have gone up there looking) there is a man in Los Angeles who had a ratty old rug that “tied the room together” and who once went after a high schooler who left a piece of homework in his stolen car. 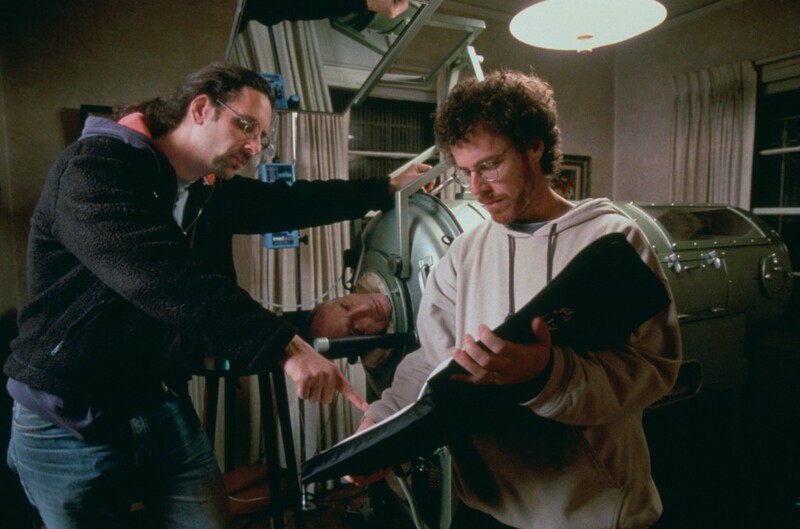 Joel and Ethan Coen on the set, visualizing their version of a real Hollywood story. Lebowski is also a very Minnesotan film, despite its Los Angeles exterior. The Coens have never truly felt comfortable in the stifling Los Angeles climate, and so Lebowski–their film most explicitly about that culture–cannot avoid its own perspective. Lebowski is a film about the view of L. A. from Minneapolis. Whether it’s the Dude’s (or Walter’s or the Stranger’s) seemingly out of place personality traits, or the deliberate name-dropping that Bunny Lebowski is a runaway from Moorhead Minnesota, this film is full of people who don’t fit into Los Angeles, just like the Coens themselves. The Dude even takes his name from a Minnesotan; the Coens had a friend growing up named Jeffrey Lebowski. Fargo, on the other hand, is a very Hollywood story, despite its Minnesotan exterior. The completely fabricated story, partially based on the very Californian idea that “there’s gold in them there hills,” is more linked to the history of gritty films noir and west coast detective novels that inspired the Coens as early as Blood Simple (whose title is taken from a Dashiell Hammett line). While the Coens saw the Dude as the anti-Phillip Marlowe, a sort of bumbling non-detective who stumbled into a world of thugs and intrigue, Marge Gunderson of Fargo is really more of a mid-westernized hardboiled detective. Would Marge have done a better job in the Dude’s position? Probably, buy that is only speculation. What is apparent through their split personalities is that both Fargo and Lebowski have carved themselves a space halfway between Minneapolis and Hollywood. 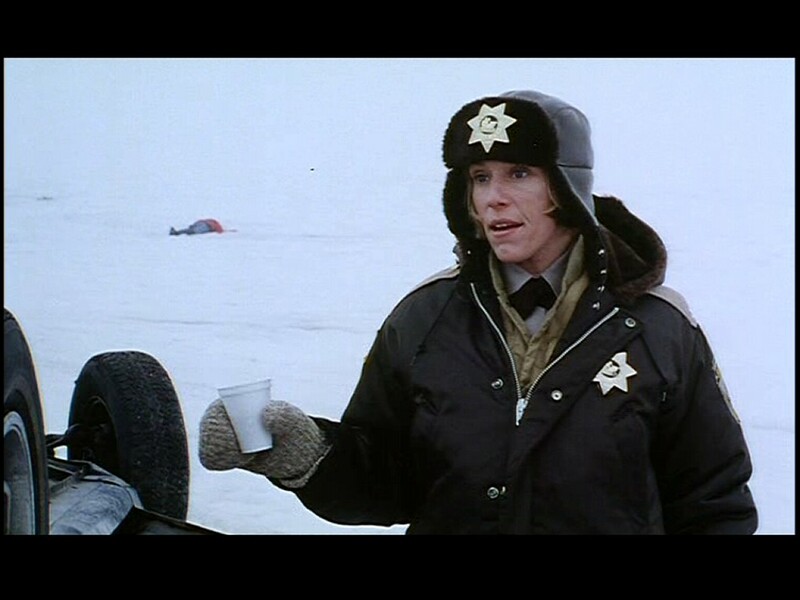 Marge Gunderson, the Coens’ hardboiled Minnesota detective, is portrayed by Joel’s wife, Frances McDormand. Jones’ intimate knowledge of the Coens was also bolstered by her time helping to organize the Regis Dialogue and Retrospective held at the Walker in 2009. In person, and in her book, she is full of the kind of quips only accessible to a serious aficionado. “The Coens love playing with people of different heights. The nihilists span from 6’7” to 5’4”, which actually caused a lot of trouble for them to all be framed in the same shot,” or “the Coens love putting big guys into small cars.” With a blend of intimate knowledge, research, history, and interviews, The Big Lebowski: An Annotated History of the Greatest Cult Film of all Time puts forward a variety of understandings of one of the Coens’ biggest hits. How do I know so much about this book? In the spirit of full disclosure, I was involved in much of the background for this book, working as a research assistant for Jones and earning an acknowledgement that is one of the kindest compliments I’ve ever received. The bleak Fawn Knutsen farm in Moorhead, Minnesota, childhood home of Bunny Lebowski. To promote her new book, Jones will be attending a few events around town where you can ask her your own questions about this film. On October first and second, she will introduce a screening of The Big Lebowski (on 35mm film even!) at the Trylon microcinema, and sign books after the screening at the Trylon’s new neighbor, Moon Palace Books. On October tenth you’ll have your own opportunity to be a part of the movie, when Jones judges a Lebowski-themed costume contest at Subtext Books. The book is on shelves at book stores and Urban Outfitters near you, and will even make it to the Walker Shop. The book even received a brief write-up in this week’s New York Times Sunday Book Review.